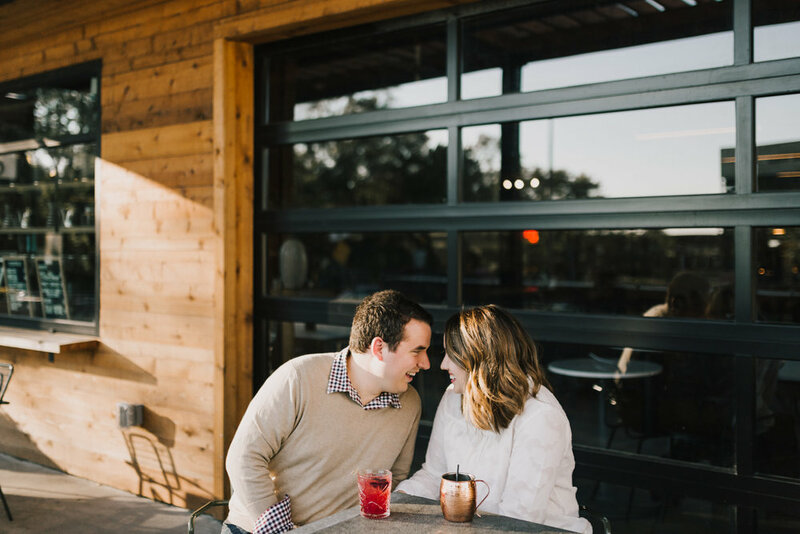 When Maggie asked if they could do their engagement photos in Lawrence, I knew I wanted to start at McLain’s Market for a cocktail first. Literally three of my favorite things all balled up into one evening - drinks, McLain’s, and hanging out with my couples. After an amazing blackberry g+t and a ton of laughs, we walked down the hill to Potter Lake. The leaves had just started to change and we couldn’t have asked for better light as the sun went down. 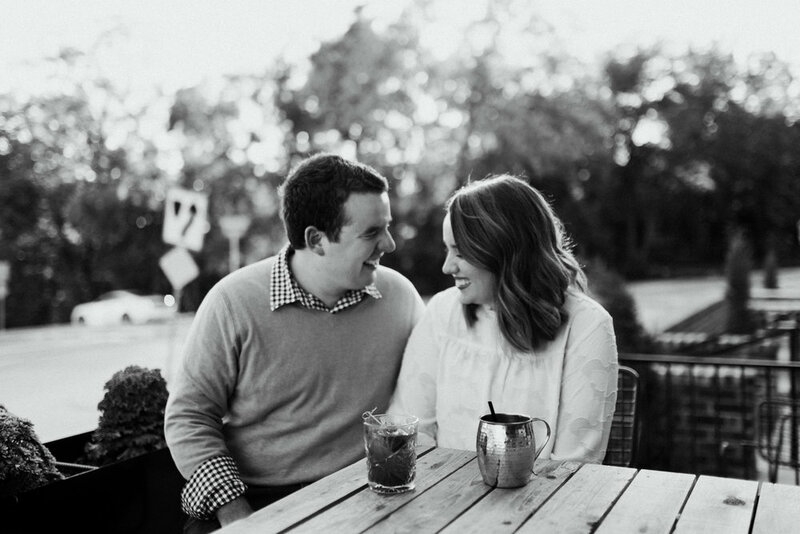 I am so excited for Maggie and Jake’s wedding next summer!!!!! Want more info about booking? Contact me here!